Ines Rocha befriended the mother of a cancer patient in her hometown in Portugal. She took pictures with the little boy, went on Facebook and claimed that he was her son, and then announced to her friends and followers that the boy had died. The little boy’s mom was very upset because her son is very much alive. Imagine her horror when she discovered that Ines had gone out and had a gravestone made with the little boy’s name on it. 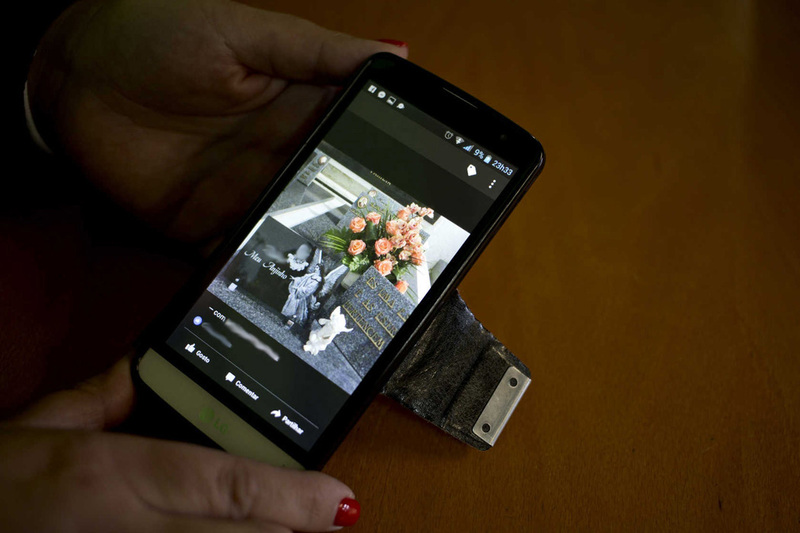 Ines placed the gravestone in a cemetery and took pictures with it. Police have removed the stone and Ines is now under investigation. Maia, 13/04/2016 – Mulher da Maia publica fotografias de crianças no facebook como se fossem suas filhas. Uma mulher de Penafiel queixa-se que esta mulher colocou uma foto do seu filho numa campa no cemitério de São Pedro do Avioso. The image above is courtesy of Portugal’s Journal of News. I’m happy to say that the Portuguese media has finally picked up Ines’ story. I am very hopeful this will lead to her getting some help or consequences for her actions. Thank you for all your comments updating us on Ines’ online activity. Since the last update I posted, Ines has pretended to have a teenager who committed suicide and a child who has heart issues. I’ll keep the comments section open so parents can update each other on any further information on Ines. Here’s a link to the ABC News segment from Nightline about Jason Taylor Martinez and Julian Baker. Here’s the story that ran on the ABC News site about the story. There will be a new update on Jason and Julian posted here in the next few days as well. Thanks to Nightline for a job well done! 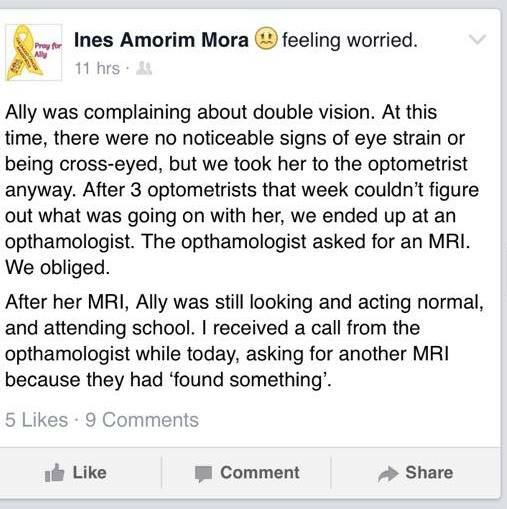 A few days later, she let her followers know that Ally was battling yet another medical malady. 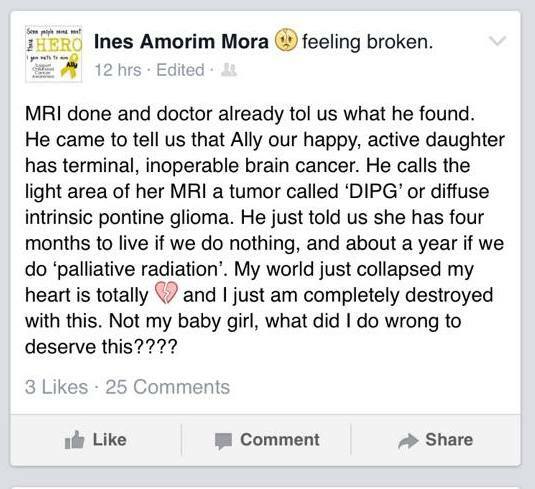 Obviously, Ally’s family is incredibly upset about this. Ally battled osteosarcoma and has been in remission for two years. 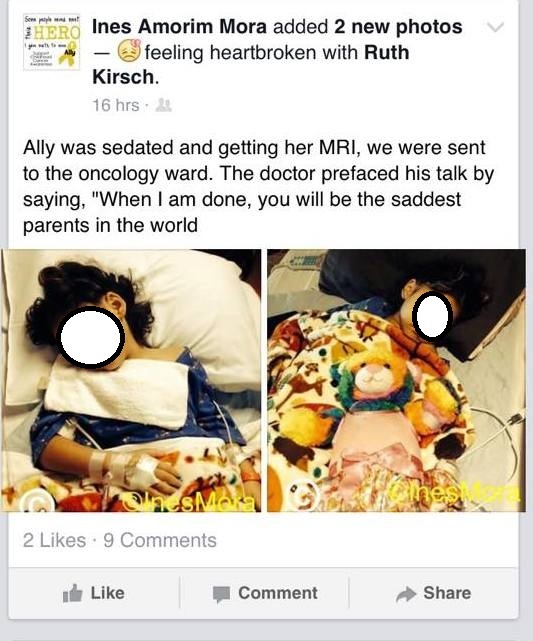 Seeing Ally’s picture next to a horrific diagnosis is very painful for her mom. 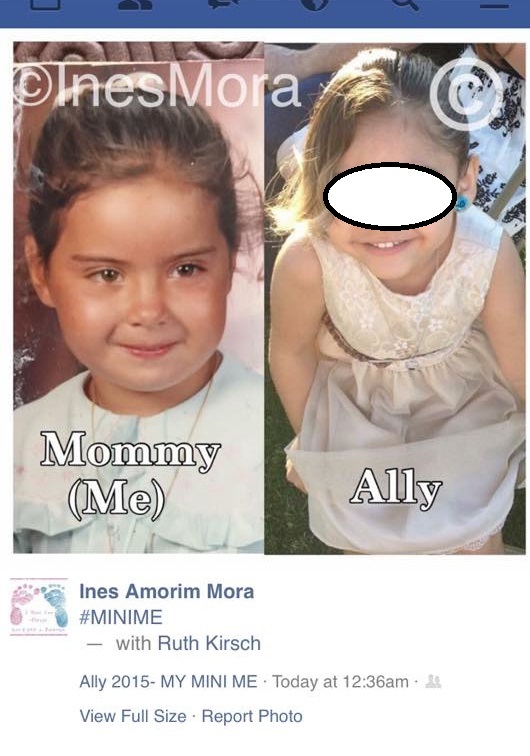 You’ll notice that Ines has also started putting a watermark on the pictures she’s stolen. Ines’ profile has been reported to Facebook many, many times. She’s been reported to the police in her town in Portugal. She’s been exposed here and people who know her in real life have been informed about what she’s doing online. Hopefully, someone will step in soon and stop her from doing this kind of thing.